Orlando Criminal Defense Attorney - Call 24/7 - Whitney S. Boan, P.A. If you have been charged with a crime, or if you are currently under criminal investigation, and you are located in the Orlando, Florida area, you’re going to want quality professional representation from the word “go.” You need an experienced Orlando criminal defense attorney on your side, to make sure that you are treated fairly and not taken advantage of by law enforcement or representatives of the prosecution while going through the criminal justice system. Your freedom and your future hang precariously upon the outcome of your trial, the results of which will depend in no small part on what you do now – before this prosecution starts. Play your cards wrong, or fail to take advantage of your right to legal counsel, and your reputation could be ruined even if you’re never found guilty of the allegations. Gaining more information on the subject of your criminal defense will help you to make the right choices. The bestcriminal defense attorney is someone who will explain your options to you, and who will keep you in the loop along every step of the way. Your case is serious to us, and as a result we are here for you when you need us. At Whitney S. Boan, P.A., we are here to help you in this difficult time. We understand what it is that you’re going through in terms of the disruption to your life, the assault upon your reputation, and the financial and personal burdens inherent in being estranged from your employment and your family while you’re dealing with your legal issues. This is never an easy process. We built this website to offer you and people like you – individuals in every walk of life – information; information about criminal offenses, the criminal defense process, and our firm’s services within this field. With Whitney Boan at your side, you stand a much better chance of reaching a positive outcome to this ordeal, whereupon you’ll be able to return to your life… putting this entire matter behind you. To learn more about the cases we handle in Central Florida, please review the information below and click on any of the links. This is your opportunity to find out more about our areas of practice but also about the different penalties that may be imposed for these various offenses, your legal rights, and how our firm can assist you in resolving these matters in a quick and effective manner. 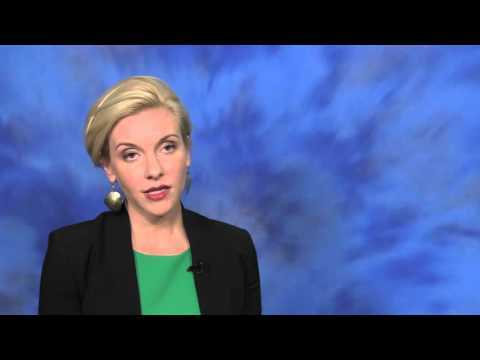 Video: How can I clear my criminal record in Florida? Your criminal defense case is serious to us, and as a result we are here for you when you need us. Read What Others Have to Say about Whitney S. Boan, P.A. Whitney S. Boan is an experienced criminal defense attorney with a demonstrable history of offering sound advice and legal services to her clients, both during trial proceedings and before they begin. The law firm of Whitney S. Boan, P.A. will help you to successfully reach a satisfying conclusion to your proceedings, whereupon you can begin to get back on your feet following the rendering of the verdict. With the experience of Whitney S. Boan on your side, you’ll have an expert ally in your corner – somebody you can count on to support you during one of the most difficult processes you’ll ever have to undergo. Don’t just take our word for it, of course; if you’re going to put your future into somebody’s hands, you should know a little bit about them first. Don’t Wait Until It’s Too Late to Find a Criminal Defense Lawyer! Know your rights. Demand to be afforded every right and privilege that the American legal system is meant to uphold. If you live within the greater Orlando area, and you’ve been accused of a crime, contact Whitney S. Boan, P.A. located at 390 N Orange Ave #2300 Orlando, Florida 32801. Don’t spend a single minute in custody without representation at your side, someone who will have your back, and someone who knows how to handle both law enforcement officers… as well as the representatives of the justice system, who are going to be trying their utmost to put you behind bars. Plea Bargains 101 – What do you need to know?